In many other articles and posts, we have covered various stationery designs ranging from business cards, to price tags, to flyers, posters, and brochures. Now is the time we cover banner designs for you as well. You can check out this other list of corporate banner designs in case that is what you are hoping for. 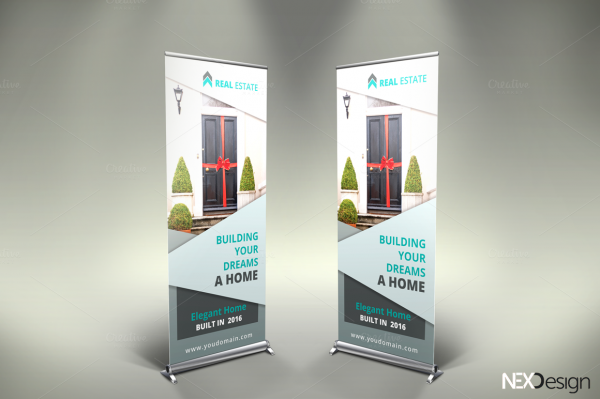 But here we have for you some of the most elegant designs for a real estate banner. You may also see Grand Opening Banners. 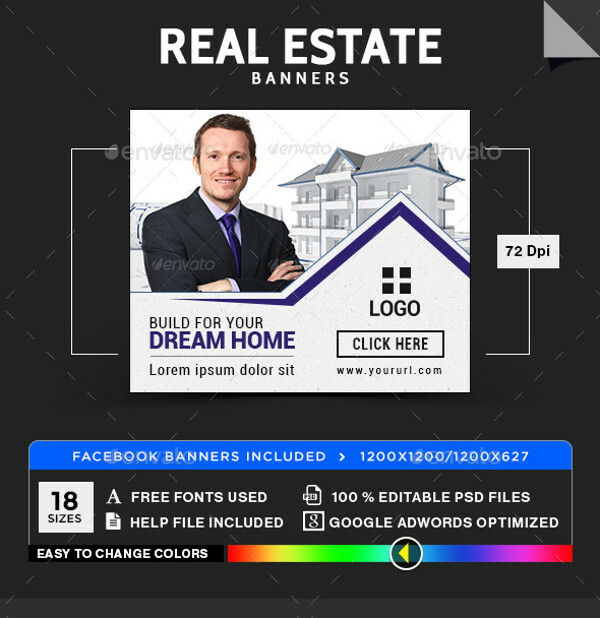 Some of these designs are just mockups of other banners that have been used for organizations, while some of them are design templates that you can download and customize for your own purposes. 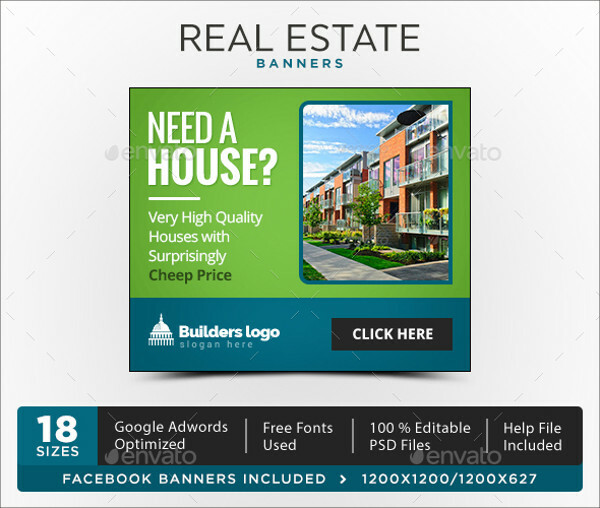 So, check out these top quality real estate banners for open house signs and other such causes. You may also see Thank You Banners. 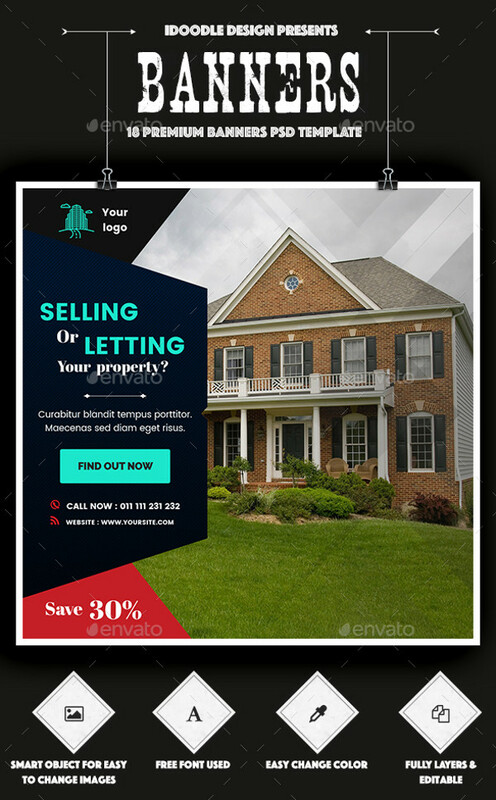 In this link, you will come across various designs for a web banner that will stretch across the screen or just take up a small rectangular area of the computer screen. You may also see Corporate Banner Designs. 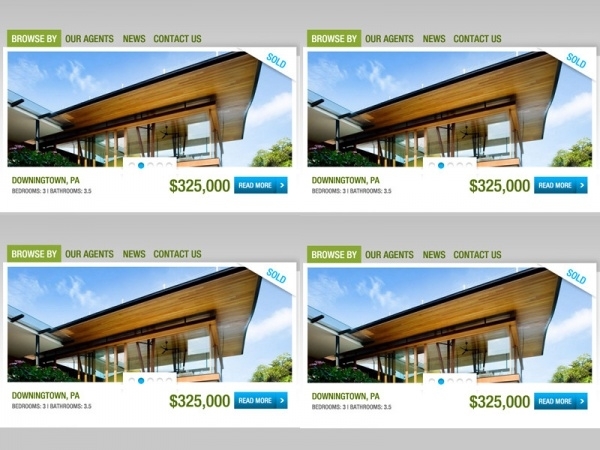 Here is the user interface for a website that shows a real estate banner designed by the designer Emory Cash. Check out this design here and use it as a reference if at all you want that. 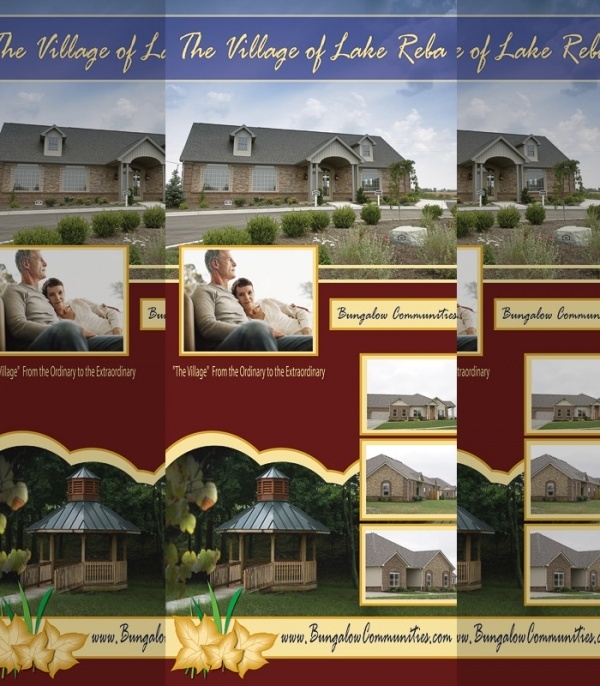 This design is a Bangladesh based designer who has created this beautiful banner for the MLS property that shows a bunch of independent houses lined up next to each other. 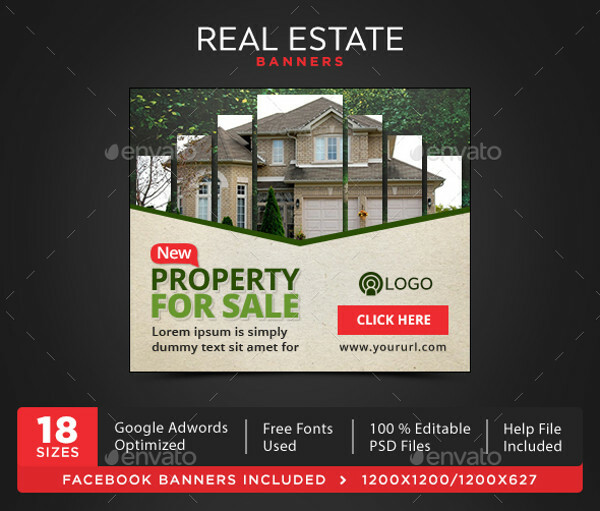 Here is a premium banner ad template that you can download and customize using Photoshop. 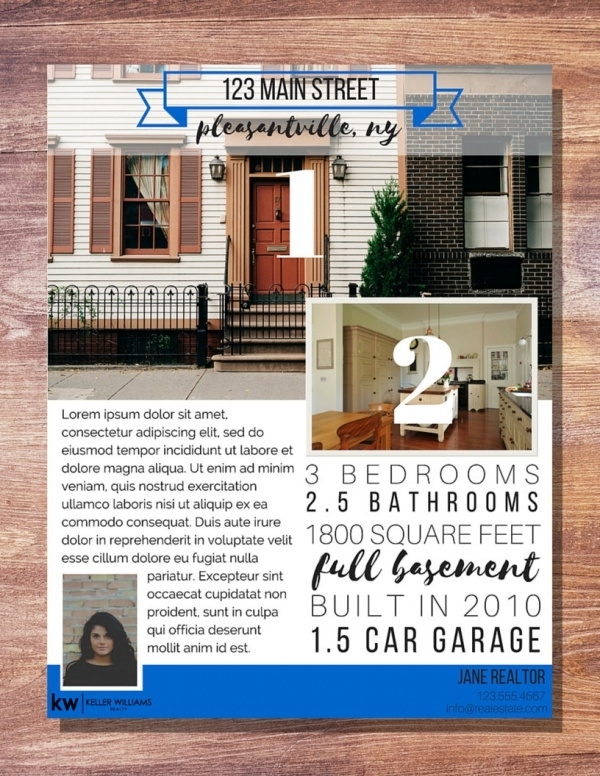 The PSD files are completely layered and fully organized making it easier for you to work with. 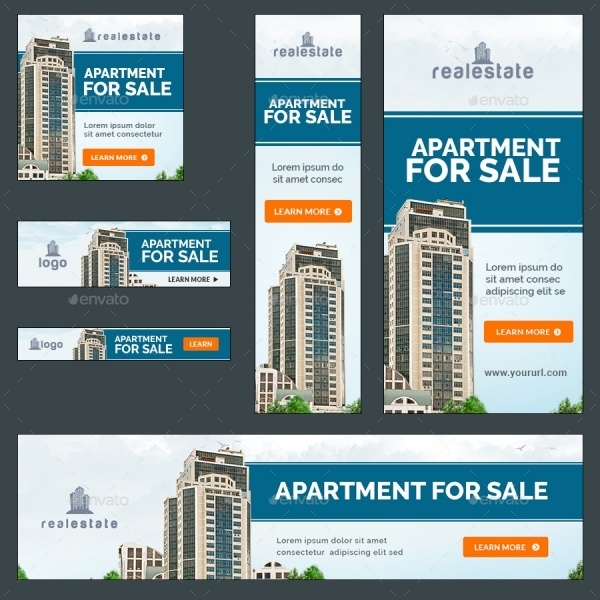 Here is a great collection of ad banners that contains designs in 11 different sizes for you to pick from. The background image also comes with the download in case you are looking for that as well. Open houses need some kind of advertisement for the passerby to look at. Here is a high-quality stock vector that you can download for free and use as a reference for your banner designs. Check out this premium template collection that contains designs for 18 different banners all available to you in Photoshop files. The download also contains a help file to guide you with the design and customization. 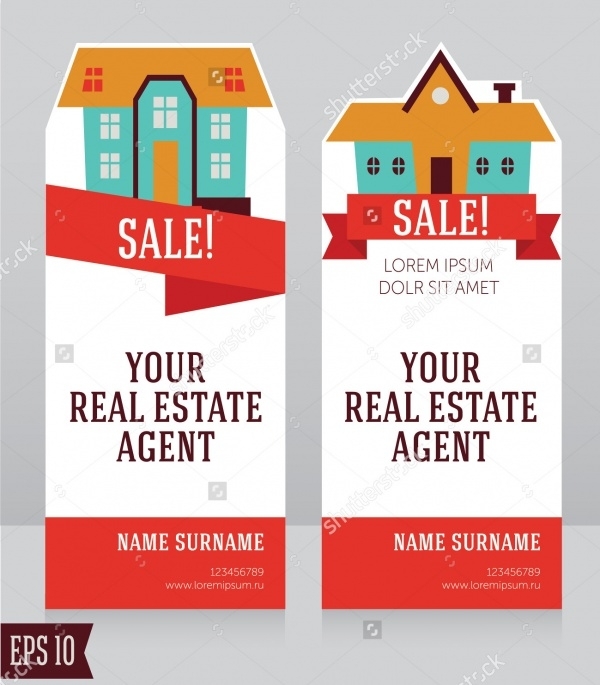 This too is a stock vector illustration wherein you can easily place your logo and content and in seconds you will have a ready to print high-quality real estate banner. 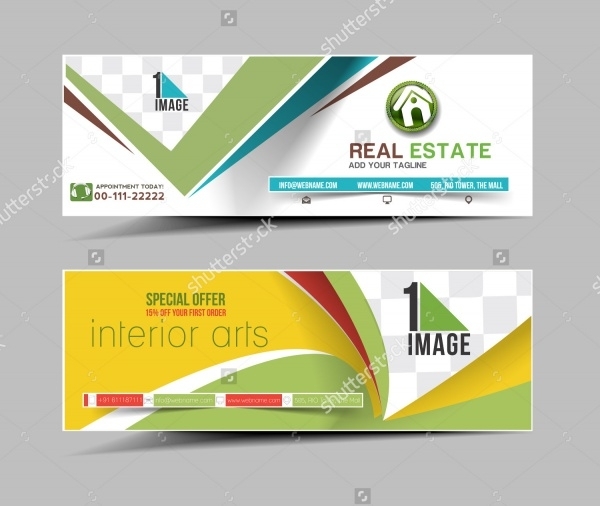 A roll up banner is usually vertically longer and here is such a banner template. The banner design is available in 3 different color variants and is available in print-ready CMYK colors and a resolution of 300 dpi for the PSD files. 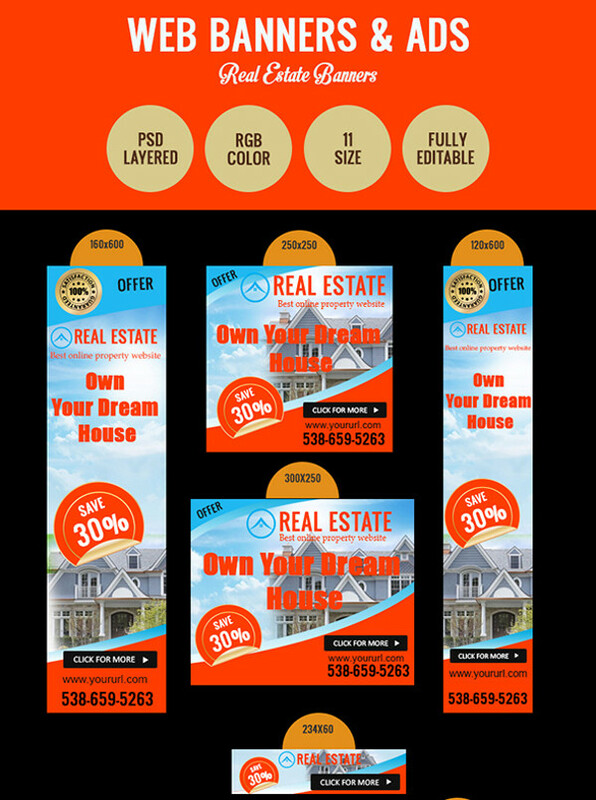 Check out this clean and modern banner design that can be used for open house or to promote any real estate agent. You can download the premium design templates from the below-mentioned download link. 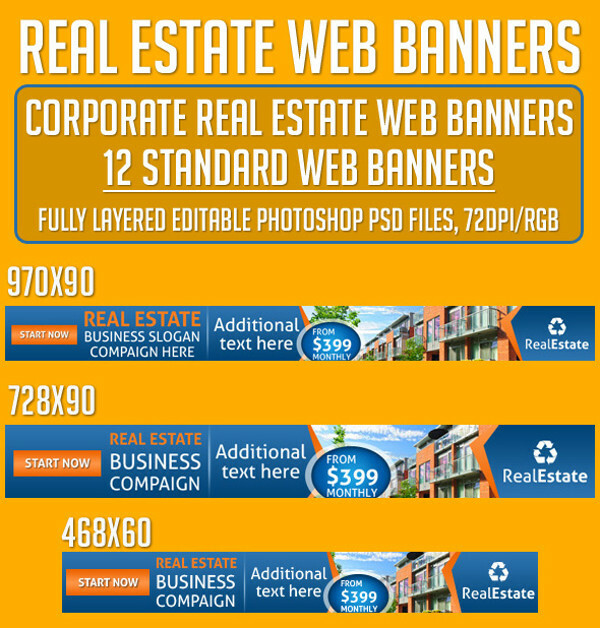 Any real estate agency requires a great banner ad for them. Here is such a set that can be downloaded as editable vectors and can be used for web designs with a call to action buttons. Here is another premium collection available for a modest 5 dollars. The design looks really flawless and in case you don’t mind spending a little money for your template you would want to download this pack. Use of vectors always makes things easier when it comes to using the same design over different sizes. Maybe that’s why this stock vector illustration is of importance to anyone working on a banner ad. This design for the banner ad is by USA based designer Mike Cooke. 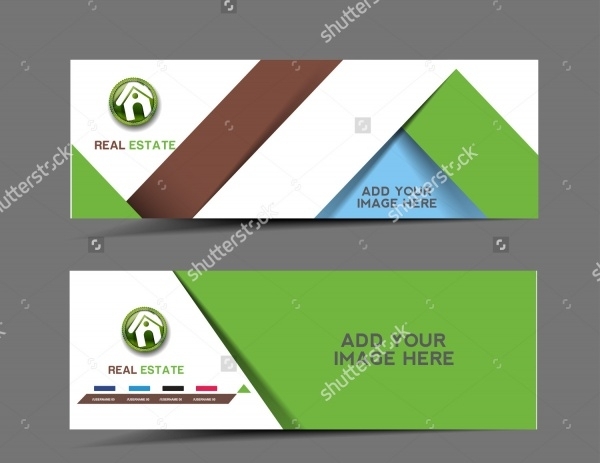 You can look at this mockup for drawing some inspiration for your real estate banner. 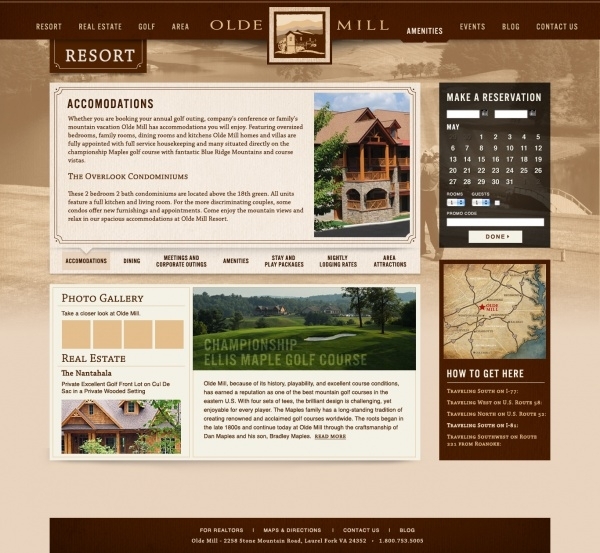 Banners can be put in a carousel and made to change every few seconds when used in a website. 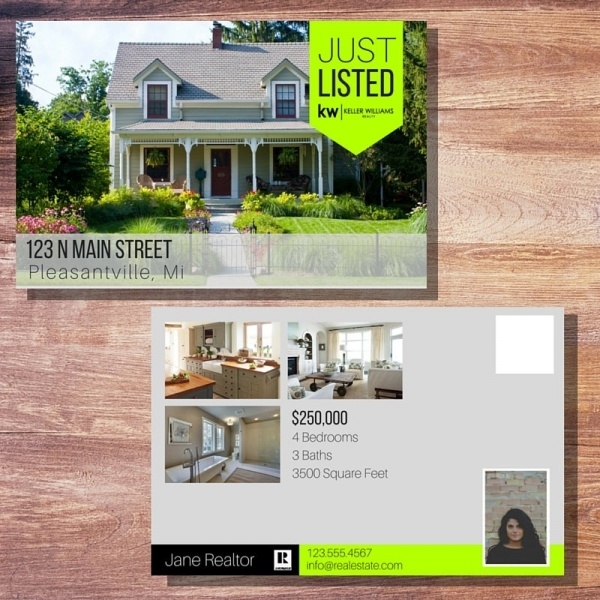 Here is a similar design which you can use to come up with your own design idea. 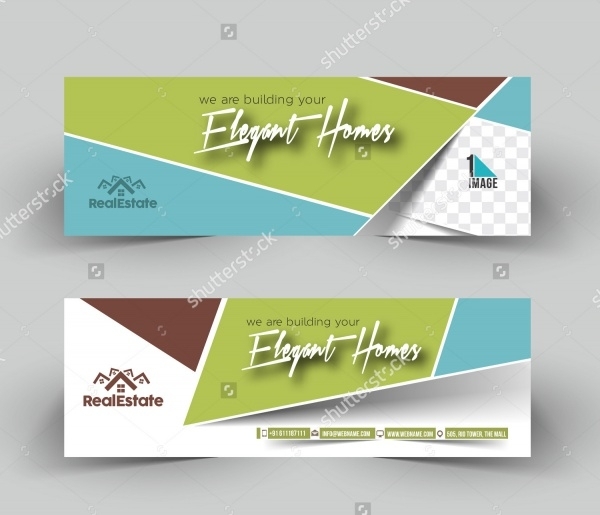 While these banners were all about real estate and related personnel, you can also look at our list of construction banners for more design ideas and templates.